I’ve worked as a volunteer guide for seven years. 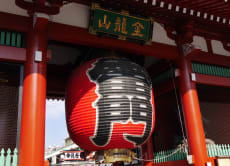 I realized that it’s very interesting to introduce Japan’s culture, history, and traditions to foreigners so I worked hard and got a professional guide qualification in 2014 (licensed by JNTO (Japan National Tourist Organization) Cert.No. EN00673). 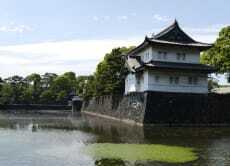 As I know the East Gardens of the Imperial Palace inside out, you are sure to have a nice wonderful experience in Japan. Visit the remains of Edo-jo Castle and Taste Matcha! 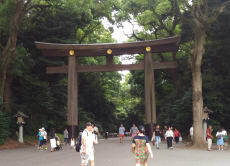 Explore Meiji Jingu Shrine and enjoy tasting Matcha! I met with my tour guide Ono who was a very kind and polite man and it was really a private tour as nobody else had booked. I was looking forward to walking the inner market the most and we met at 9 am, however promptly on meeting we were told that we had to wait until 10 to enter. We walked around the outer market and while Ono spoke great english I could have used some more guiding and a bit more explanation about the market in general. We still enjoyed walking the outer market until we were allowed inside at which point we realized that everyone had already pretty much packed up or were cleaning up. 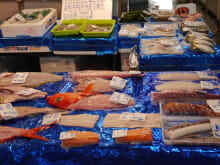 Hardly any fish to see which was the point of booking the trip. We still walked around and explored and it was not Ono's fault at all but from what I've been hearing the workers are not so keen on tourists these days and there is a lot of other backend political stuff going on with the whole market moving for the olympics and what not. Anyways, just not our day I suppose. Ono was amazing, polite and informative. The tour was superb and would recommend it to anyone.